纳米晶带材 Ribbon - Ribbon - Advanced Technology & Materials Co., Ltd.
Manufacturer：安泰科技股份有限公司 Advanced Technology & Materials Co., Ltd. The annual production of high-precision Antainano® ribbon is more than 3000 tons. With the composition of Fe、Si、B、Cu、Nb and other elements, through specific annealing process at cooling rate of 106℃/s, the soft magnetic alloy material with superfine grain size (~10nm) is obtained. This new type of metallic functional material is characterized by short production process, one step forming and energy-saving consumption. It owns both features of high saturation magnetization (Bs) of Fe- based Antaimo® alloy and high permeability of cobalt-based Antaimo® alloy, thus it can well meet the performance requirements of high frequency and low loss. Antainano® ribbon permeability can be adjusted in a certain range. 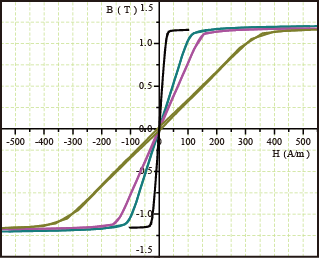 The DC-immune property of cores changes with varied permeability. At present, Antainano® can provide customized material solving method for permeability range as below. 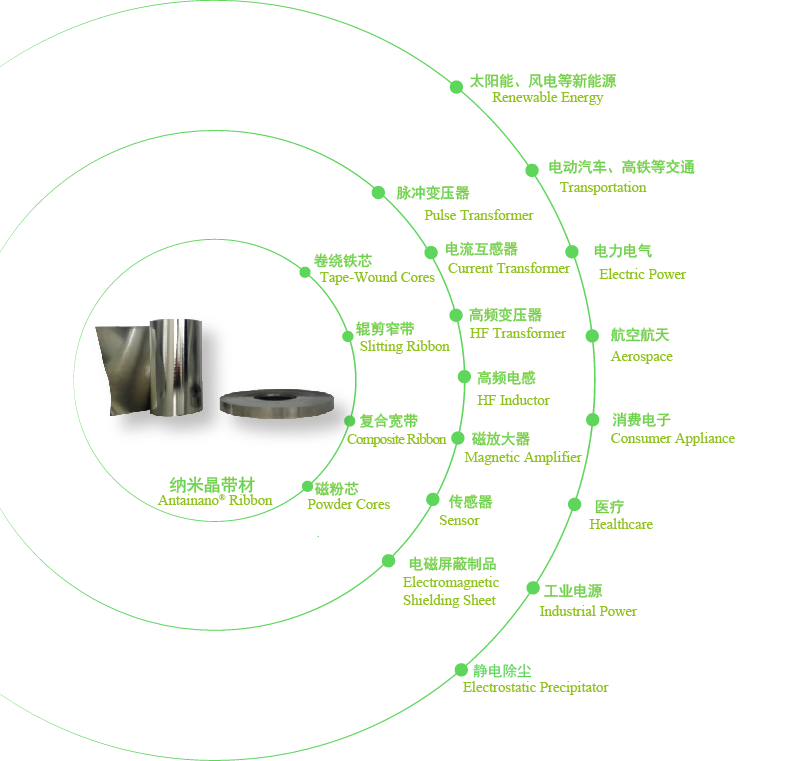 For Antainano® alloy ribbon with same composition, the thinner ribbon is, the lower core loss is. Moreover, the temperature rise of components could be reduced in high frequency to avoid burning. For Antainano® alloy ribbon with same composition, the thinner ribbon has the lower core loss at the same Bm. For Antainano® alloy ribbon with same composition,the thinner ribbon has the higher permeability and impendance at higher frequency, which results in good EMC performance of components .